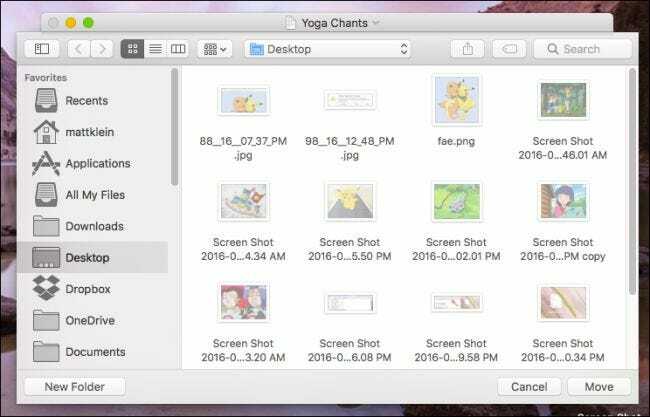 If you’ve been using a Mac since OS X Mountain Lion, you might have noticed that some documents can be renamed directly from the title bar. This has actually gotten more powerful with successive OS X releases. The first thing we need to point out is that you can’t do this from every application. 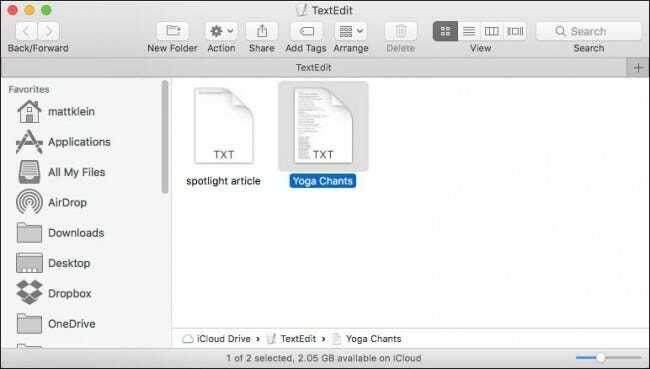 You typically have to use an application included with your Mac, such as TextEdit and Preview, or iWork documents (Pages, Keynote, and Numbers). 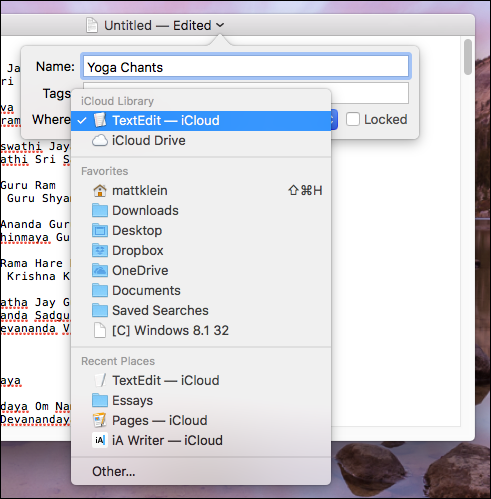 However, you may find other applications designed for Mac might have this capability too. In the following screenshot, we see an untitled TextEdit document. You will notice that we can rename it from the titlebar by clicking the little arrow (indicated by the big red arrow). When we click on that arrow, we reveal four options: we can rename it, add tags to make the documents easier to find, move it, and lock it so that no further changes can be made. Click on the dropdown menu next to the “Where” field. This lets you move your document to any location without opening the finder and dragging it there. If you want to relocate your file to a location that isn’t listed in the dropdown list, click “Other” at the very bottom and a typical Finder window will open allowing you to place your file anywhere on your computer, or create a new location. Try double-clicking on the title bar, and it will show you where the document is located. In this case, our text document is in our iCloud folder. Clicking on the location will open it, displaying the active document along with any other items store there. If the document is stored locally, and you double-click, it will display the location at the top (right below the file), as well as the ascending hierarchy where that location exists. 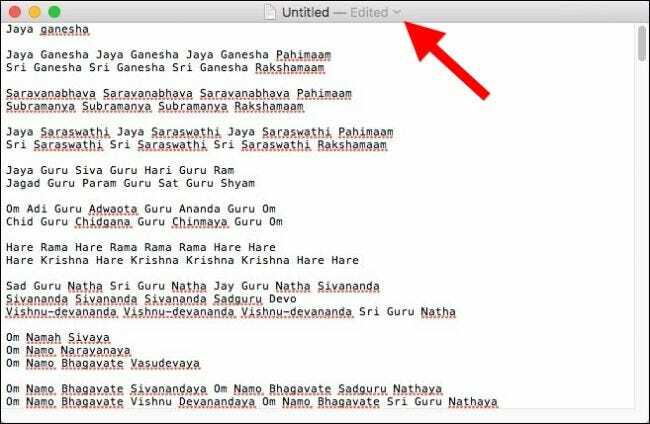 In this case, the text file is in our Desktop folder, which is in our user folder, on the system drive, on our Mac. While it’s unfortunate that macOS hasn’t extended this power to more types of files, for the ones that it does work on, it’s a great time saver. Plus the ability to seamlessly move files around your system without leaving the application really adds a nice touch.